Entry level imagers featuring the most reliable connectivity and good reading performance and unique features. Options for 1D (Corded, BT & Wireless) & 2D (Corded, BT & Wireless) models available. 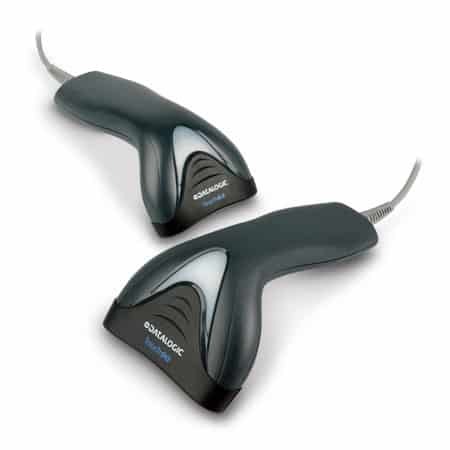 The QuickScan reader series is Datalogic ADC’s value line of general purpose handheld data collection products. 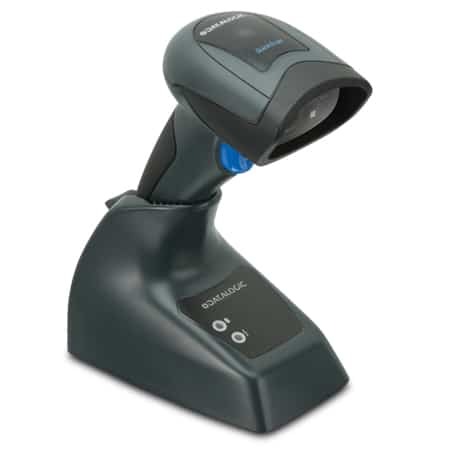 The QuickScan linear imaging readers are an entry level product that is perfect for use in retail and office environments plus activities associated with couriers and postal services. 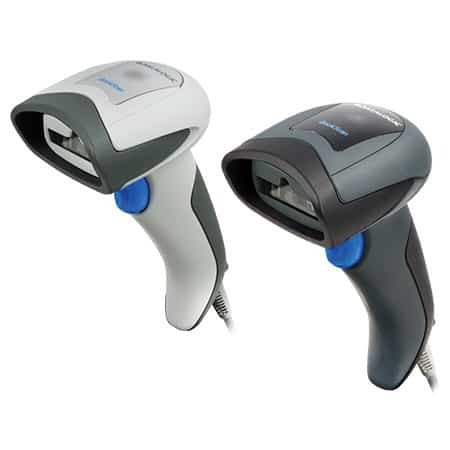 The QuickScan series is small, lightweight and its ergonomic design is comfortable to use during daily operations. 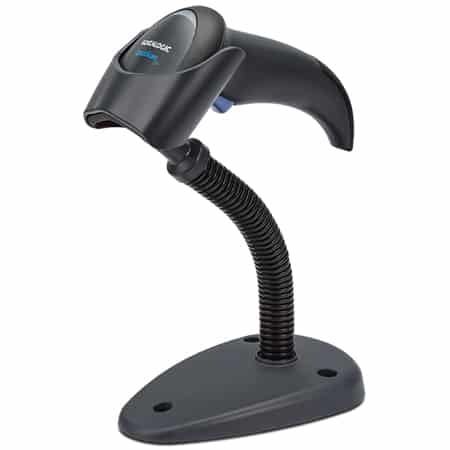 It offers snappy reading performance especially on hard to read bar codes and is capable of reading a wide range of symbologies including the majority of 1D codes plus GS1 DataBar™ linear codes (2400 Series imager reads typical printed linear bar codes as well as complex 2D bar codes displayed on the screen of a mobile device or loyalty cards. The 2400 imager provides a fast, reliable scan from an elegant and robust 2D imager). 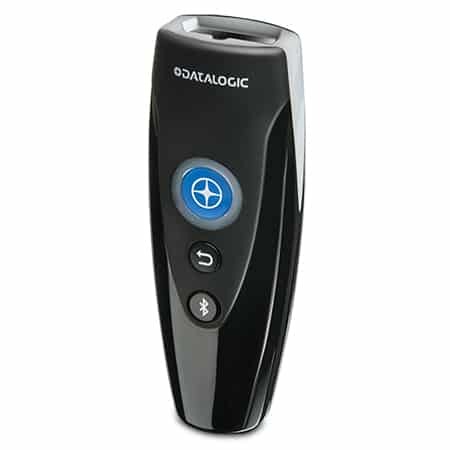 The QuickScan reader features Datalogic’s exclusive patented ‘Green Spot’ for good read feedback directly on the code. When in Stand Mode, the Green Spot remains on to show the operator where to position the code for quick and intuitive reading. 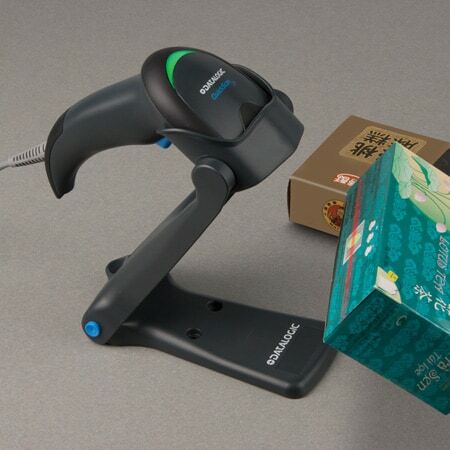 The QuickScan reader has been designed with durability in mind. One of the most vulnerable features of any scanner is damage to the scan window. When such incidents happen, the scanner may have to be replaced. The QuickScan reader was specifically designed so that a replacement window pack can be ordered to replace damaged or scratched windows without having to send the scanner away for repairs. 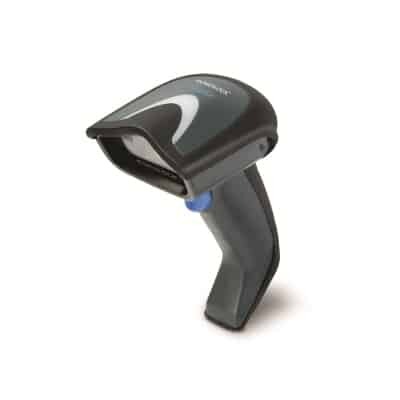 This helps to reduce the total cost of ownership during the life of the scanner and helps to ensure that it is always available for use.